Summer is already here, and even if it's still cold in Paris, I already had the opportunity to wear some beach clothes meanwhile I was in Knokke. 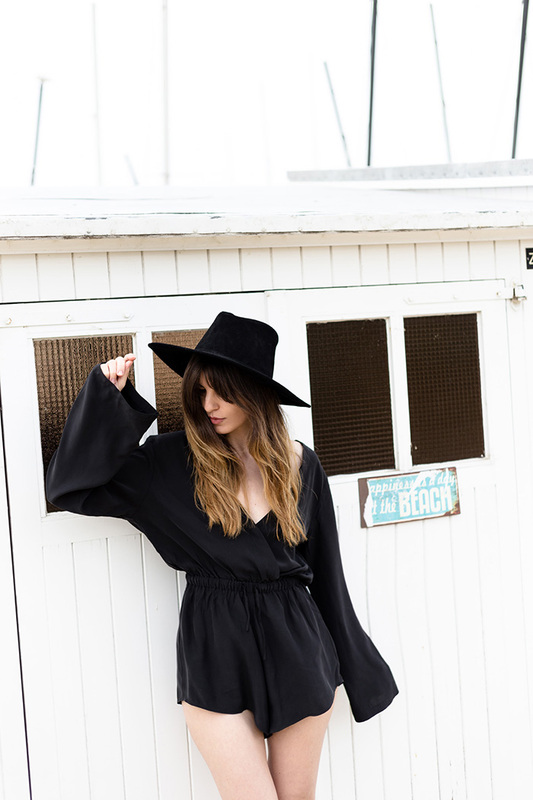 There is one piece I'm insanely in love with, and it's this beautiful japanese silk romper by SIR The Label (here). I can not imagine any better clothing that could fit better with a beautiful white beach of Knokke. It's so comfortable and also so stylish you can wear it with some summer slippers, ankle boots (as I did with Hudson Shoes), and with or without a hat. I'm very in love with the pictures we took. I hope you will like them as much as I do.